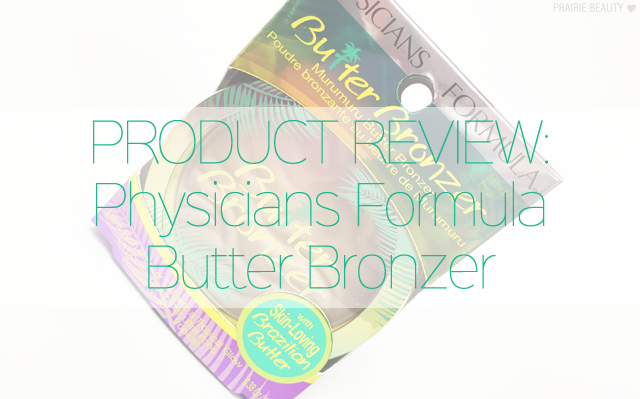 As long as I've been paying attention to the online beauty community, people have been telling me how amazing the Physicians Formula bronzers are, but I had never gotten around to picking one up. In general, me and bronzer tend to have a pretty complicated relationship. I think it has to do with my skintone, for the most part, and for a good chunk of the year I can't even really wear bronzer because it ends up looking orange and insane no matter what. It's a hard life for a pale girl in the winter when it comes to bronzer. 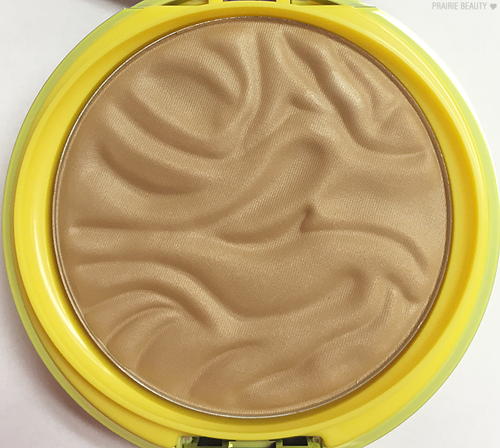 Anyway, when the newish Physicians Formula Butter Bronzer came on the scene, I was very much intrigued - especially when I heard people talking about how light they are. I clearly had to try it, right? So, I finally picked it up and I'm ready to let you guys know what I think. 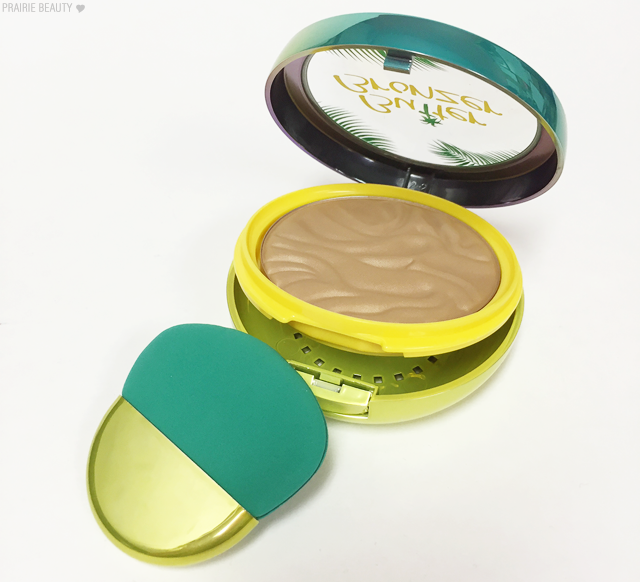 Okay, so I know it doesn't really matter, but I love the packaging on this bronzer. I think that the packaging looks like the price point - if that makes any sense. What I mean is that Physicians Formula is definitely on the higher price range in the drugstore, and I feel like not only should the quality of the products be up to the price point, but the packaging should as well. Anyway, I feel like I'm rambling a little bit here. Overall, I think this packaging is really attractive and doesn't feel cheap. So... Much has been made about the scent of this bronzer. Everytime I heard anyone talk about it, they talked about the suntan lotion scent of it, but I don't think I was really even prepared for it. It's funny because it's nothing like what I was expecting it to smell like, and yet exactly as it was described. Weird, right? Anyway, I think I was expecting more of a coconut tropical scent, but this smells exactly like old school suntan lotion that I remember using when I was younger. It does smell tropical, but with a slight chemical edge to it. I don't notice any smell left behind on the skin when I use it, but it smells INCREDIBLY strong in the pan. If you don't like strong scents in your makeup, I would avoid this. I have to admit that I'm a little bit here nor there about the fragrance of this product. I don't mind it, but I don't think it makes it a must have either. 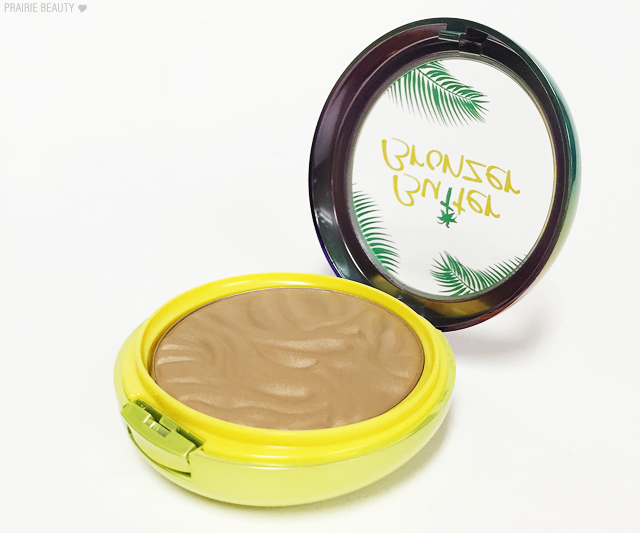 The first time I felt this bronzer's texture, I really wasn't sure how it was ultimately going to blend on the skin. I want to say that it's almost a creamy feeling powder, but I almost don't even feel like that's accurate. While it does have a smooth feeling and really doesn't kick up powder at all, it's a little more stiff than products I would normally describe as feeling creamy. 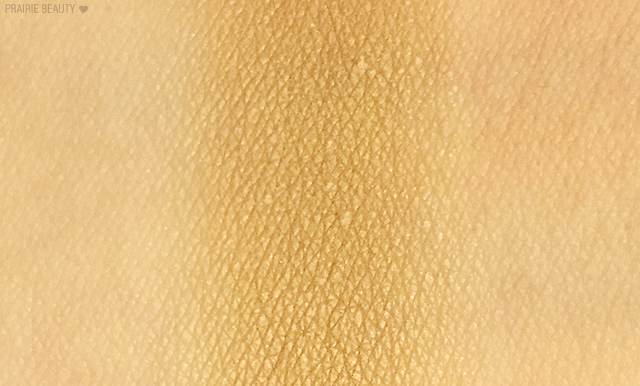 I feel like the texture of this is perfect for a bronzer for a couple of reasons. The first is that it doesn't pick up too much product. I don't feel like I have to dig my brush into it to get pigment, but I also never have a problem with picking up too much. I also find that it blends really nicely and seamlessly onto my skin, giving me a healthy look without ever looking like makeup. The bronzer comes with this weird sponge that I tried once for putting on my bronzer, but I had to blend it out with a brush anyway so... Will probably clean it and use it as an oil blotter instead! 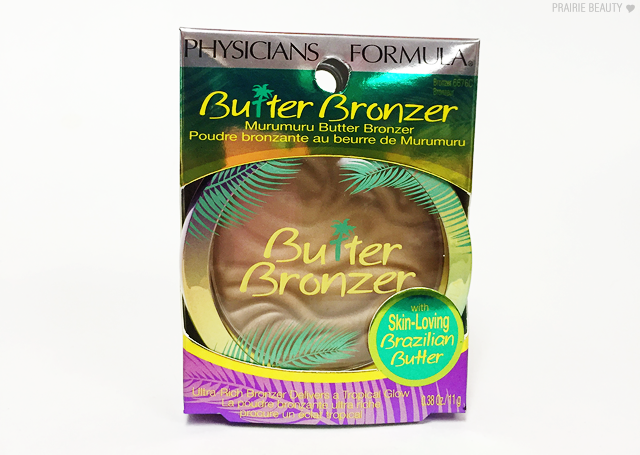 This bronzer is available in two shades, Bronzer and Light Bronzer. Because I'd heard that these were both quite light, I went with the Bronzer shade even though I do have quite fair skin and I feel like this is a good shade for me. Honestly, though, I feel like if you aren't fair to light skinned, this isn't really going to do anything for you and you should probably choose something else. All of that being said, I love that there's a bronzer in the drugstore now that is in a shade that actually suits my fair skin. Finally! I love this bronzer and I've literally been wearing it every day, because I like it better than pretty much anything else in my collection. I feel like it gives my fair skin a really healthy looking summer glow without looking too heavy or makeup-y. If you've got fair to light skin and are looking for a bronzer in the drugstore and don't mind a strongly scented product, you should definitely look into this. 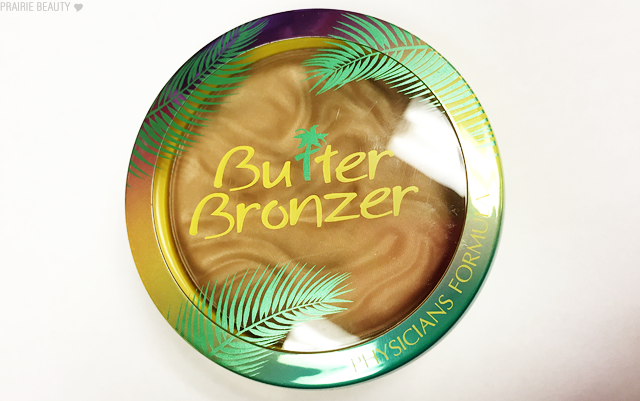 The Physicians Formula Bronzer hype is real!